Become a space traveller and explore our Solar System and the Universe beyond in a cool mini encyclopedia that's packed with pictures. 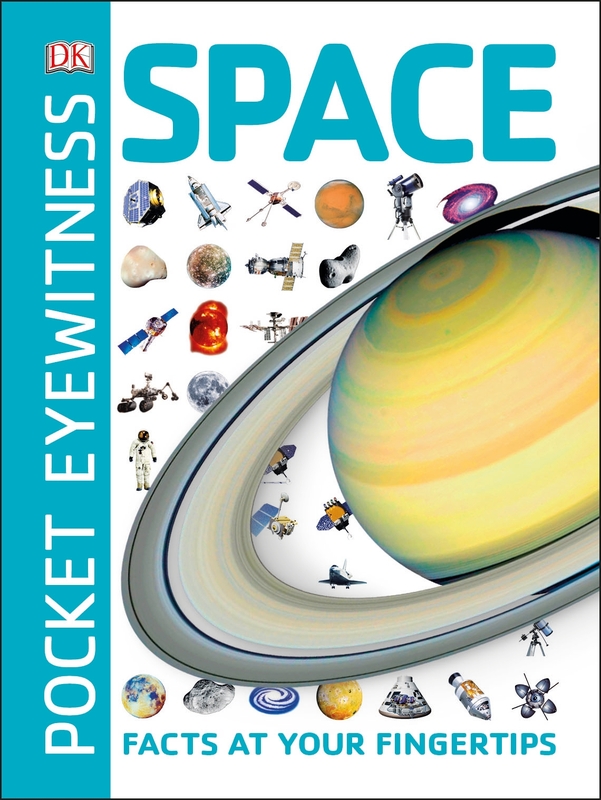 With space facts at your fingertips, Pocket Eyewitness Space makes learning about space fun. With more than 170 profiles on planets, stars, meteorites, and moons, you'll soon become an expert on all things space. Look closer at amazing planetary features, such as Jupiter's Red Spot and Mars' Olympus Mons, the tallest mountain in our Solar System. Find out, too, about the scale of the Universe, how telescopes work, see the life cycle of a star, the probes exploring other worlds, and life on the International Space Station orbiting our planet. All this and more can be discovered in Pocket Eyewitness Space, a pocket-sized guide that's out of this world!